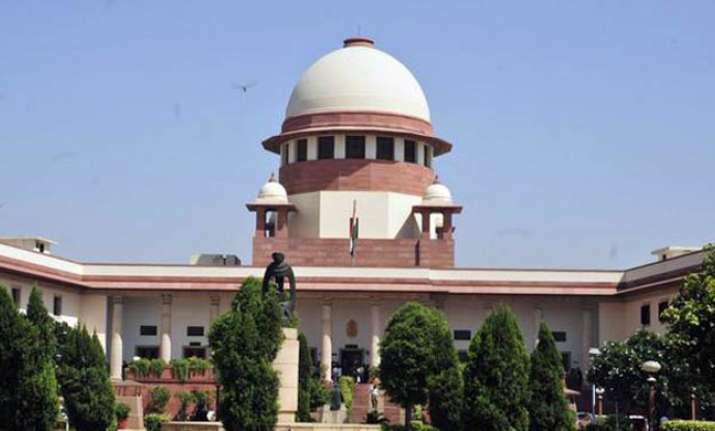 New Delhi, Nov 23: The Supreme Court on Wednesday rejected the plea for the recall of its order banning the use of pet coke and furnace oil by industries in the National Capital Region (NCR). The court also rejected a plea by the National Thermal Power Corporation (NTPC) and Hindalco and seeking extension of time to switch over to an alternate fuel. Rejecting the plea by some of the industries based in NCR, the bench of Justice Madan B. Lokur and Justice Deepak Gupta told the petitioners that the government itself has banned the use of polluting fuel in Haryana, Uttar Pradesh and Rajasthan as it dismissed the pleas as withdrawn. As senior counsel Kapil Sibal, appearing for an industry employing 2,000 people, told the bench that they would be forced to shut down, Justice Lokur, taking exception to the argument, said: "Don't make such arguments". "We might as well shut down this court." The apex court in its order in October, had banned the use of pet-coke and furnace oil in the NCR. The Central government, in pursuance to the court order, issued a notification banning the use of polluting fuel in entire Uttar Pradesh, Rajasthan and Haryana. The top court on November 17 had asked all the states and Union Territories to consider enforcing the decision of the Ministry of Environment and Forest and the Central Pollution Control Board prohibiting the use of pet coke and furnace oil by the industry in Uttar Pradesh, Haryana and Rajasthan. Asking the states and UTs to voluntarily enforce the ministry and board order banning the use of pet coke and furnace oil in three states adjoining the national capital, the court had said that the pollution caused by the pet coke and furnace oil was not limited to the National Capital Region but affected other states as well. The Environment Ministry on November 15 had asked the CPCB to ban the use of pet coke and furnace oil in three states and on that day, the board CPCP issued direction prohibiting their use by the industry in the three states.